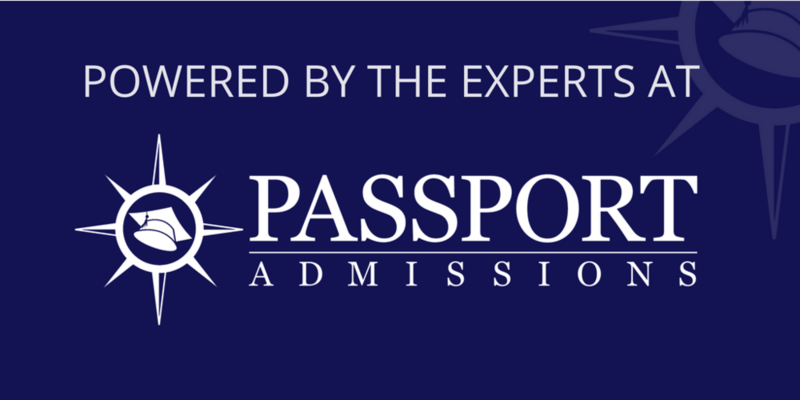 Why Do I Have to Jump through Another Admissions Hoop? Trying to evaluate a student’s writing and interviewing was too hard, and couldn’t there just be a test to simplify each applicant’s social skills into a single number? We’re kidding, of course. I think the reason medical schools have started to require the CASPer is because it requires very little time and energy on their part and it gives them one more piece of data to help make an application decision. CASPer (Computer-Based Assessment for Sampling Personal Characteristics) is an admissions test developed by researchers at McMaster University. Several medical schools require it as admissions criteria alongside interviews, letters of recommendation, and essays. Which Medical Schools Require It? The test is also being used by five Canadian med schools and Ross University in the Caribbean. What Do Medical Schools Do with the Results? No one knows exactly how much weight is given to the CASPer by the medical schools that use it. Medical schools tend to be creatures of habit, putting the most weight on admissions factors that have proven to matter over the years. For example, many med schools still do not put much weight in the PSYCH section of the MCAT, since they have yet to see its predictive validity with their own students. What is the Format of the CASPer? Double check the technical requirements and try out the sample test to ensure your computer and internet connection are suitable. NOTE: Some of the later dates only apply for certain programs. **The website recommends that you register for a test at least three days before your preferred date and time to allow for account verification and payment processing. You are allowed to reschedule your test date if necessary. How Much Does the CASPer Cost? The CASPER costs $10 to take and another $10 each time you send it to the schools on your list. Your testing fees go to support a non-profit company trying to save starving children in Africa. Kidding! They’re a for-profit company who doesn’t even have to pay test centers to administer the exam. How is the Test Graded and Valued? Raters are supposedly trained to ignore errors in spelling and grammar. Your responses are anonymous, so a rater does not know who you are, or how well you’ve done on any other section. What’s a Good Score on the CASPer? Nobody knows! Your test scores are not released to you, but they are released to medical schools. Except the CASPer is a TEST, not an interview. You would expect to get your MCAT score, wouldn’t you? You would expect a scoring system would be fair and easy to read if it’s such a good measure. Why are they hiding their scoring system? How Should I Prepare for the CASPer? You can’t! At least, so says the company that makes it. “The general literature suggests that situational judgment tests (SJTs) are relatively immune to test preparation, i.e. that coaching is unlikely to provide benefit.” Of course, the writers of the SAT and MCAT used to say that too, back when they were first created. It’s as if the CASPer writers are claiming, “We’ve created the world’s first standardized test where coaching will do no good.” Really? We’ve written an entire article on how to prepare: How Should You Prepare for the CASPer Test? What are the Do’s and Don’ts of Taking the Test? Let’s get the obvious one out of the way. Don’t cheat. The official site makes it pretty clear. On a technical note, don’t “refresh” a page through the address bar – if you do this, you will need to re-enter your test from your account test page. This will pick up where you left off. Don’t “refresh” during a written section unless the timer has finished counting down. Responses are automatically saved once the timer expires. Don’t use the “back” browser navigation button or reload a page using the address bar. If you do that, you will need to re-enter your test page. Don’t try to take the test without an excellent internet connection. Seriously. You only have five minutes to answer all three questions about the scenarios, so you want your typing to be in tip-top shape. Here's a free typing speed test. If you take these steps to prepare, you should be able to conquer your CASPer test and give medical schools confidence in your professionalism and preparedness. Many of you have written to us with additional questions about the CASPer (feel free to type your questions in the comments of this article, and we will continue to add to them), so we thought we'd update the article with some additional information based on those. Does the AAMC Fee Assistance Program Qualify Students for a CASPer Fee Waiver? Yes. The normal fee of $10 per school is waived if you qualify for the AMCAS Fee Assistance Program. Nice to know! More Questions? Type them in the comments, and we will respond personally within two business days or so.